This hardcover book, signed by Ryan White for Backstreet Records customers, is in stock and shipping now. The author autographed bookplates especially for us, which are affixed to the title page of each book. With in-depth explorations of 17 studio albums spanning over 40 years of music history, this new, richly illustrated book takes the reader chronologically from Greetings From Asbury Park, NJ through High Hopes. 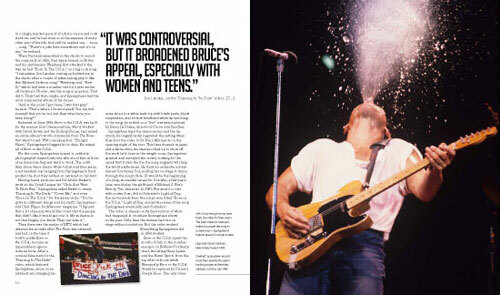 Says White, "Ever wonder how it is Bruce Springsteen went from Jersey shore rat to American avatar? 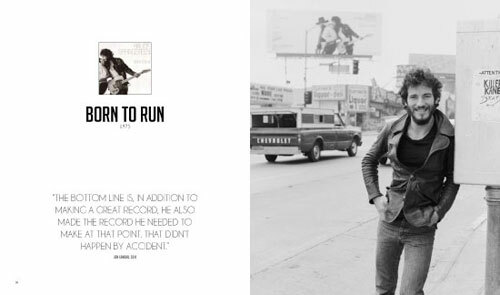 Springsteen: Album by Album (featuring a forward by my pal and best-selling author of Bruce, Peter Ames Carlin) takes you on that journey, highlighting the songs, the stories, the influences and the moments that have defined one of the great careers of the rock era." This hefty, 9-3/4 x 11-1/2 hardcover includes many rare photographs, a chronology and discography, along with brilliant writing by one of America's top music critics -- White, a colleague of Carlin's at the Oregonian, has twice been voted one of America's best writers by the Society for Features Journalism. Sterling/Palazzo Editions, hardcover, 288 pp. Reprinted with permission from Springsteen Album by Album © 2014 by Ryan White, Sterling, an imprint of Sterling Publishing Co., Inc. Photography by Getty Images/Terry O'Neill. 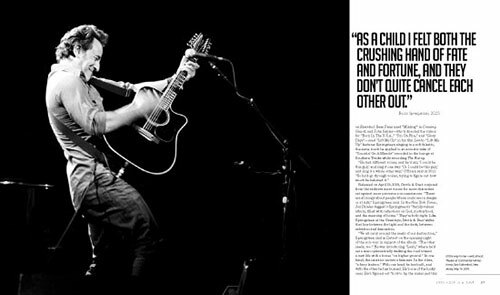 Reprinted with permission from Springsteen Album by Album © 2014 by Ryan White, Sterling, an imprint of Sterling Publishing Co., Inc. Photography by Getty Images/Chalkie Davies. Reprinted with permission from Springsteen Album by Album © 2014 by Ryan White, Sterling, an imprint of Sterling Publishing Co., Inc. Photography by Neal Preston. 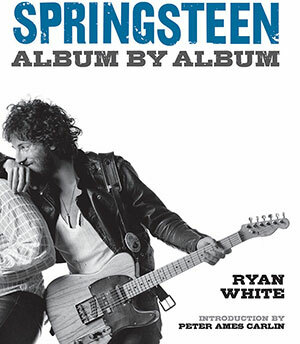 Reprinted with permission from Springsteen Album by Album © 2014 by Ryan White, Sterling, an imprint of Sterling Publishing Co., Inc. 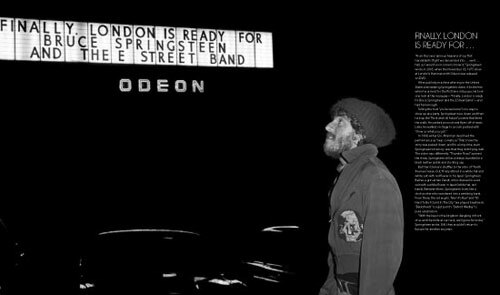 Photography by Getty Images/Danny Clinch.